Everybody has a meatball recipe. I can’t dispute this and frankly, I don’t want to: the greater the number of varieties of meatballs in this world, the better for everybody. I find meatballs to be one of the great chicken noodle soups of this world; when well seasoned and covered in a delicious sauce, there’s absolutely nothing that you can’t get through with a plateful of them in your belly. You can imagine my delight then when I came across these beauties. But let’s talk seasoning. Many an otherwise serviceable meatball has been ruined by a lack of good seasoning. The truth is, most of the meat itself never benefits from the caramelisation/searing process of the hot pan and this often leads to meatballs smelling and looking more delicious than they actually are due to flavourless mid-sections. The seasoning used for the meatballs is crucial. Try to mute your shock at the amount of salt – believe me, it’s necessary. Finally, don’t be tempted to make rice instead of couscous – it’d be too heavy. Fluffy piles of well flavoured couscous will carry this dish to the highest of places. 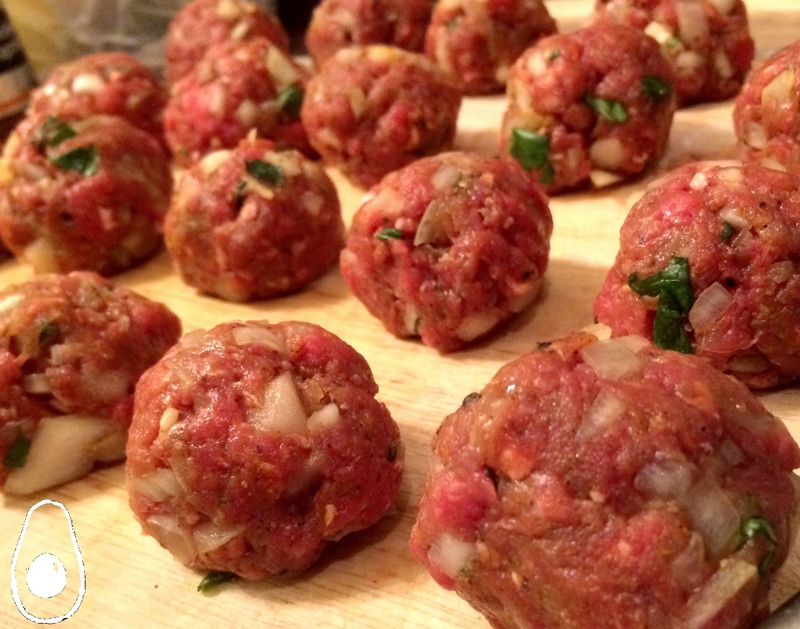 Meatball recipe is courtesy of Blanche Vaughn’s In One Pot. 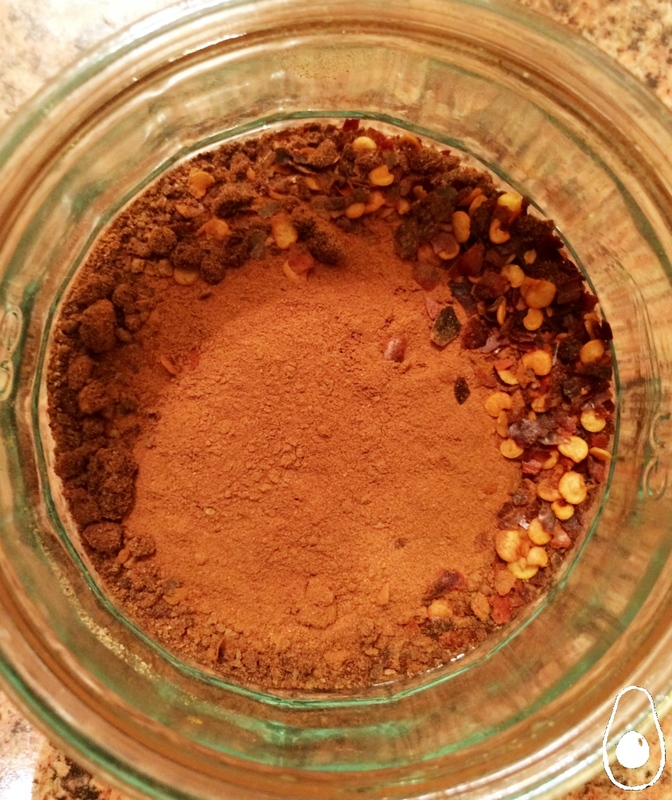 First make the garam masala. Roast all the spices apart from the nutmeg in a dry frying pan over a medium heat for a couple of minutes until toasted and aromatic. Cool. Grate the nutmeg and add to a spice grinder along with whole spices (break up the cinnamon stick) and grind everything to a fine powder in an electric grinder if you have one. Mix all of the meatball ingredients together, except for the oil. Form small firm meatballs. The size and number of these should be up to you but as a guide, we made 20 medium sized ones which made it very easy to dole out 5 per portion without any tension at the dinner table (it’s come to that!). Heat two tablespoons of oil in a heavy bottomed pan and brown the meatballs. Do not be tempted to crowd the pan. I used to laugh in the face of this advice and have since grown to regret it (a story for another time). Take the time and do it in batches. Once browned, set aside. Add the remaining tablespoon of oil and fry the garlic and ginger for a couple of minutes until fragrant and going golden. Add all of the spices and fry for a minute or so more. Add the tomatoes and plenty of seasoning and stir well. Let this simmer for 15 minutes until the sauce is thick and the taste of the tomatoes matured. Add 3/4 of the coriander in at this point and add the meatballs back. Stir, cover and let the meatballs finish cooking in the sauce and the flavours mix around. While this is happening, prepare the couscous. Follow the packet instructions regarding liquid amount. Make sure you make this up using the quarter stock cube and lemon, for flavour. Cover and leave for five minutes. When done, fluff through and add the herbs and olives, mixing thoroughly. The whole meal should be finished when the couscous is done. Serve with the sauce lovingly smothering the couscous with a large glass of your favourite winter beverage and the central heating on. Bliss! Meatballs are the way to my heart. I’ve been going CRAZY with meatball recipes lately, I made some chicken Parmesan meatballs, some spicy Asian meatballs, and French Onion Soup meatballs. After that, I said I was done. And now… after seeing these pictures…. daaahh I think I’m going to have to make another batch! What am I going to do!? Turn into a meatball?! I think I’m definitely…. going to turn……. into a meatball. Meatballs as the chicken soup of the world! Soooo true!! These look delish… I haven’t made meatballs in sooooo long and I may need to make them again with recipe! Thanks for sharing! !